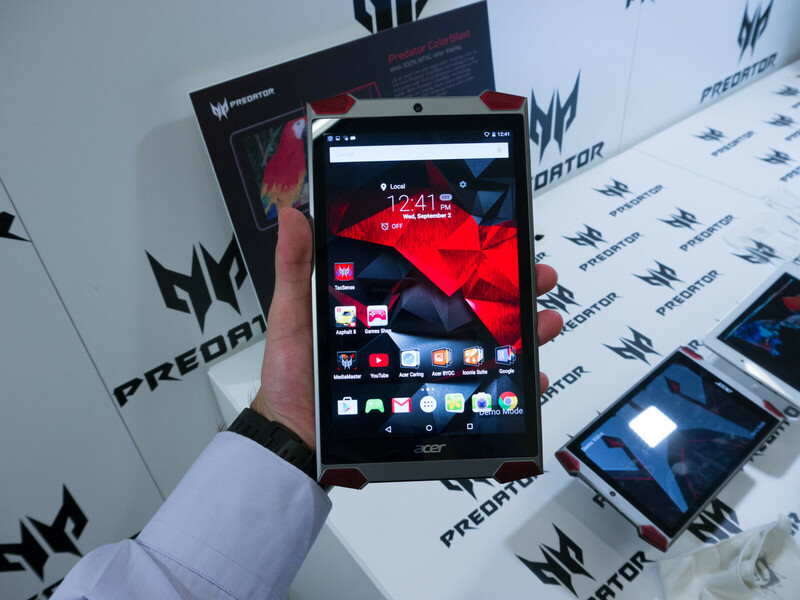 At IFA 2015 yesterday, Acer unveiled the Predator 8, a tablet designed with the gamers in mind. The design of the tablet is striking, but it also comes with a specs sheet that is well-endowed for its intended purposes. But is a gaming tablet what gamers need? Has Acer aced the Predator 8? Let's find out! 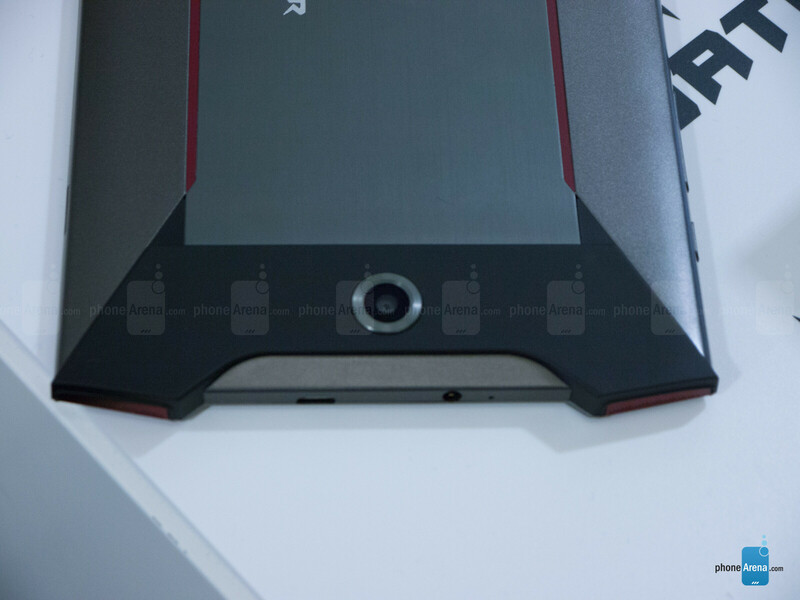 Well, the design of Acer's gaming tablet is undoubtedly its most striking feature. Resembling an Alienware gaming laptop, the Predator 8 is definitely a head-turning tablet doomed to attract attention everywhere it pops up. In the meantime, the rear of the slate is made of aluminum. 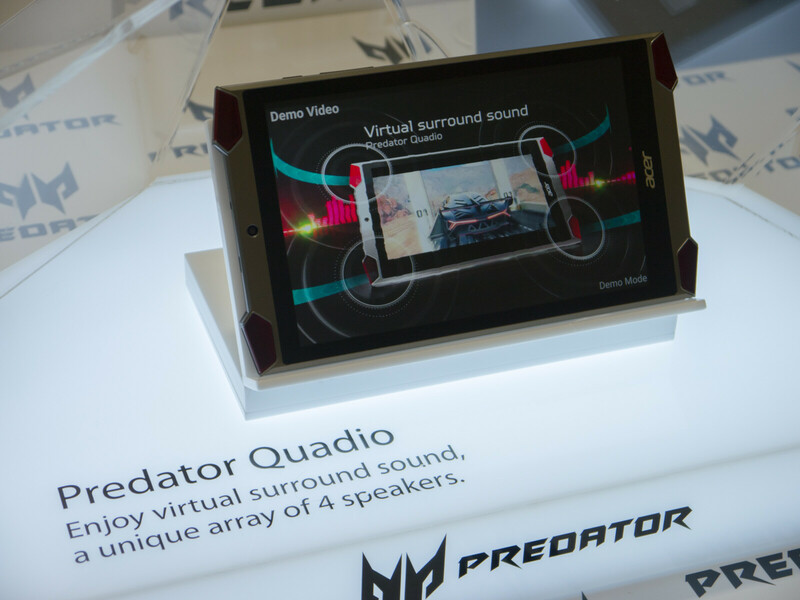 With four front-facing speakers in each corner, covered with red mesh, the Predator 8 simply looks aggressive. Then again, this design won't appeal to anyone. Size-wise, it's definitely not among the compact 8-inchers we've seen around, but it's definitely not as large as one of its main rivals, the Nvidia SHIELD. Tipping the scales at 350gr, the slate is 8.7mm thin; as a side comparison, the Nvidia Shield weighs 390gr and has a thickness of 9.1mm. There's a 8-inch IPS display with a 1920 x 1200-pixel resolution up front. The resulting pixel density of 283ppi is a bit disappointing when you consider the fact that the tablet is intended for playing games. With a zero air gap and Acer's home-made Predator ColorBlast tech for 100% NTSC color gamut, Acer tries to sort of make it up for the unimpressive sharpness of the screen. Yet, that's not the highlight here. What truly sets it apart is the tactile feedback that Acer embedded in the display, which is intended to make gamers leave away the third-party gaming controllers. Well, serious gamers will probably raise an eyebrow at the possibility of ditching their mouses and keyboards, but Acer claims its new slate offers one of the best touchscreen experiences you can get your hands on. Android 5.1 is the OS that Acer put its faith into; it seems to be running almost stock version of Android, mind you. One of the goodies that come preloaded with the Predator 8 is Asphalt 8, the popular racing game, along with some $50 worth of in-game credits. The four front-facing speakers provide virtual surround sound, which is rather important for a noteworthy and memorable gaming experience. Additionally, it's said that Acer's gaming tablet will come with a stylus, dubbed Accurate stylus, that will allow you to make use of the display's sensitivity. 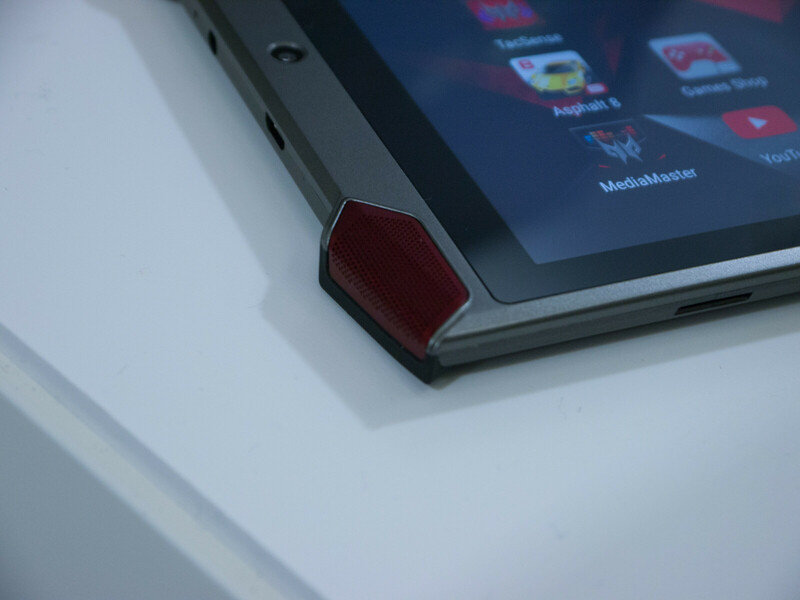 Being a gaming tablet, it's logical to assume that the Acer Predator 8 packs some punch under the hood. It comes with an Intel Atom X7 processor, paired with 2GB of RAM, as well as either 32 or 64GB of storage - not exactly the powerhouse its exterior suggests. Graphics will be taken care of by a 8th-gen Intel HD graphics chip. We will have to test the Acer Predator 8 before we can say whether it's potent enough to give the Nvidia SHIELD a run for the money, but we are pretty sure it's well-equipped for handling some of the more graphically-demanding Android games out there. 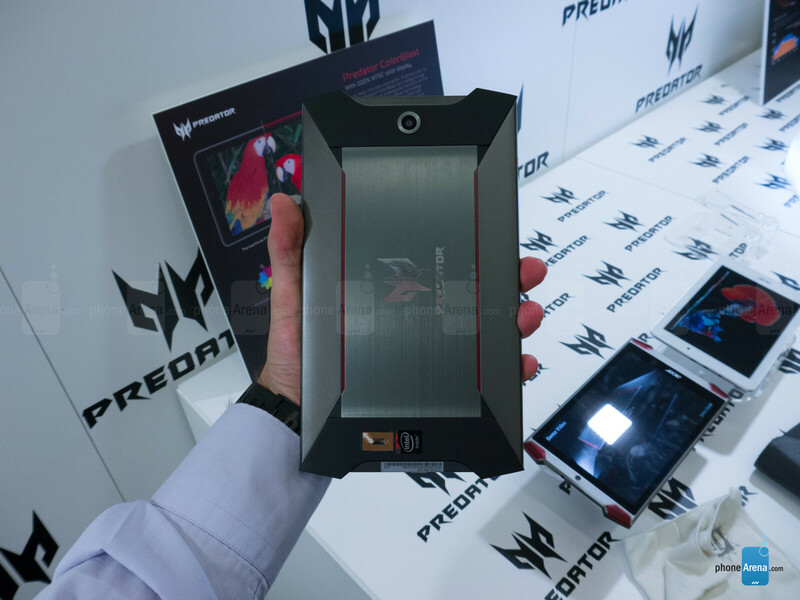 So, the Predator 8 is an Android gaming tablet with unorthodox design and tactile feedback. While the whole package looks pretty enticing, especially given its $299 price tag, we somehow fail to see the need of a gaming-oriented slate that runs on Android. Sure, there are lots of graphically demanding games available for Android, but until we can verify that it is doing its intended purpose in an outstanding way, we won't be able to say whether the Android scene needs another gaming tablet. "Intel Atom X7"...that thing is not for gaming...sure it can play games. But asus should've used nvidia x1. Not sure there is even a version of X1 that's viable for the tablet. +1 for you, I was going to comment the same. If you want to build a tablet for gamers use one with the best GPU available, not one that it is just so-so. Look's crazy ugly, Atom X7 isn't bad but nvidia K1 is still faster. Shield Tablet or Nexus 8 are both faster. True that!! N ot to mention iPad Air with A8X or A9X which is likely to be launched in October. But they would be in a different price group. Good VFM here , Acer but you could have done better. The real question to me is not whether this is faster or slower, but is it fast enough to play all current Android games smoothly? If so, then who cares if another tablet has a faster SOC if there is no in-game benefit? I suppose an argument could be made about futureproofing, but I'm not sure how quickly Android games are pushing the hardware threshold in general.